Through storytelling, your child will develop an early awareness of rhythm, movement, singing, and drama. Each lesson features a new tale from around the world, explored through multi-instrument and multi-cultural elements. 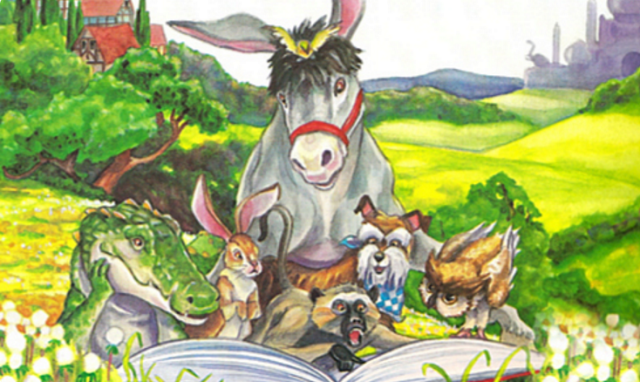 For example, your child will learn a Malaysian tale about a small deer who outsmarts a crocodile, and a Zulu tale from South Africa about a woman who rides a turtle to the bottom of the sea to find stories to tell her children. All told, it's an around-the-imagination adventure of the greatest stories from Europe, Malaysia, South Africa, and more.